World markets got a boost Monday after Cyprus and EU negotiators reached a deal on a €10 billion bailout for the tiny island nation. European markets rallied more than 1% in morning trading, while Asian markets ended mixed. After an initial bump, the euro was little changed against the dollar. The new bailout program includes a deep restructuring of the country's banking sector, but will also protect deposits will less than €100,000. A plan to tax all bank accounts, a key sticking point that had enraged Cypriots, was shelved. Without a deal, the tiny state risked losing emergency funding from the European Central Bank as early as Tuesday. That would have meant financial collapse and almost certain exit from the eurozone. Now that a deal has been reached, investors are breathing a cautious sigh of relief. Aside from Cyprus, Dell (DELL) will draw attention after the PC maker said early Monday that it had received two competing bids to founder Michael Dell's buyout offer. Both Carl Icahn's Icahn Enterprise (IEP), and Blackstone Group (BX) submitted separate buyout offers, which Dell said may turn out to be superior. Shares of Apollo Group (APOL) rallied after the company reported earnings that blew past estimates, even as enrollment at University of Phoenix declined nearly 16%. BlackBerry (BBRY) continued to come under pressure, with shares falling more than 6% in premarket trading. 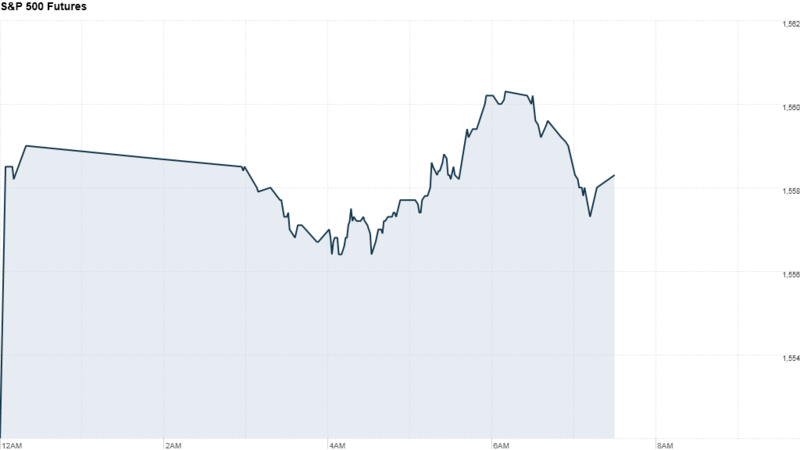 The smartphone maker's stock slid Friday after excitement over the new Z10, which made its U.S. debut, quickly faded. U.S. stocks ended last week with modest declines.